I guess I have to write a little bit about Minahasa here. 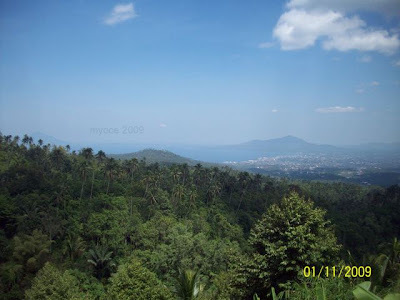 My friend Jenny said she'd read about Manado in travel blogs. 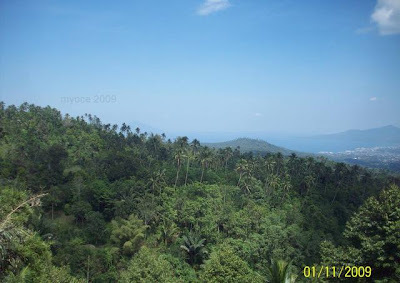 Yep, Manado is a famous destination for diving enthusiasts.... with it's beautiful coral reef in Bunaken. Maybe some of you have heard about the Sail Bunaken event held there earlier this year. The event was organized by the Indonesian Navy in celebration of our country's Independence Day , one part of the program involved 2,486 people diving simultaneously. The effort was written in the Guinness Book of Records, with the 2,486 divers remaining underwater for 31 minutes^^ If you'd like to see some slides of the event, click here. Well, having mentioned the Sail Bunaken event, there are some things I want to let you know about it he he he...The Sail Bunaken event was held in Manado, North Sulawesi, on August 12-20, 2009, it is a part of the World Ocean Conference (WOC) activities, with the theme "Protect Our Oceans for the Future Generation". The event involved 24 warships and 150 sail boats as well as cruise ships from 26 countries and is considered the largest maritime event ever organized in Asia. Oh, yes ! The USS George Washington super carrier with about 5,000 crew members on board also came ^^ Want to know about the event? Click here . I got some first hand info about this, as my cousin was on the commitee. Ok, back to my journal..[err.....actualy I'll be talking about the Guinness Book of Records again later LOL ! ] My dad had asked us to attend the North Sulawesi Art and Culture Festival in Tondano, North Sulawesi ..he was invited by the chairman of the commitee but couldn't come due to his health, so he asked me and hubby to go instead. 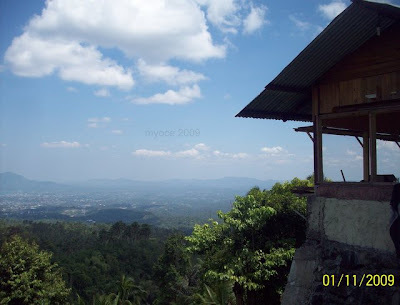 The pictures you see in this part of the journal are the ones I took on the way to Tondano....on the second day of my trip [click pix to see sceneries]. My cousin was so nice to devote much of his time for us while we were there....lucky he could conduct his business long distance....he had his cellphone glued to his ear the whole time. 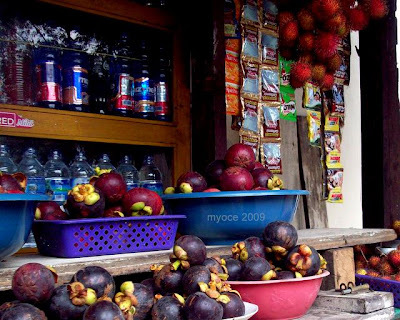 While hubby and I were enjoying the sights, he was concluding a deal...he he..He stopped at a roadside stand so we could buy some fruits to enjoy on the way. 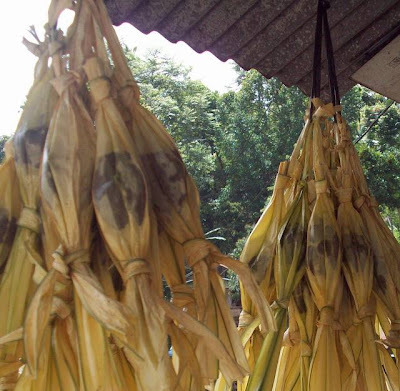 This delicious snack is made from glutinous rice, palm sugar, coconut milk and Kenari nuts...it is wrapped with wild palm leaf [called woka]. It's my dad's favorite...so we bought a big bunch to bring home. Across the first stall was another one, this one had a great view behind it. ...there was a car full of tourists there...they were taking pictures too. Above you can see a tourist buying bananas....he asked how much and the girl answered in Indonesian...I told him the price. 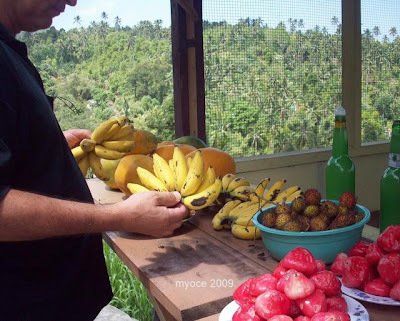 Hmm several kinds of fruits are in season here..
As we got in to the car to continue our journey, another car load of tourists arrived. 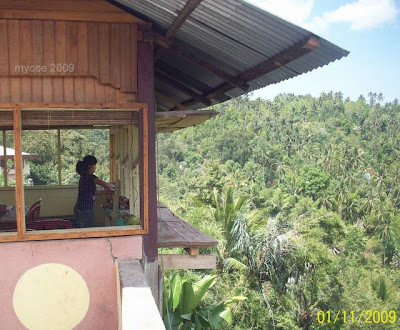 I'm glad many tourist are enjoying their time in Sulawesi :) Ok, I've got to go....see you in another entry. 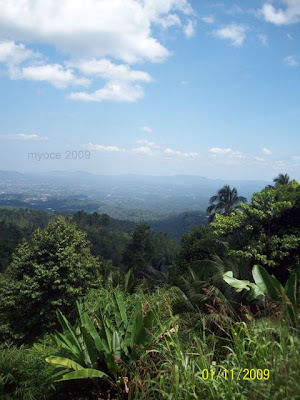 Thank you so much for sharing your beautiful pic of Manado in your Minahasa Journal 2 here . Actually Manado is already so long in my mind and a lot of people here love to go there cause they comment that they will have a peaceful mind enjoying the sea and the beautiful scenery there. OMG is make me wanted to go and see by myself already myoce. 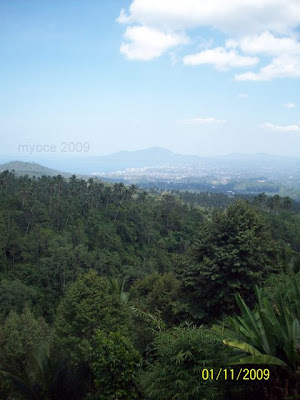 The Sky over Manado is so clear and beautiful and u are a good photographer as well . TGIF already .Hope u have a beautiful and wonderful weekend with your families . Take good care of yourself and rest well yah . 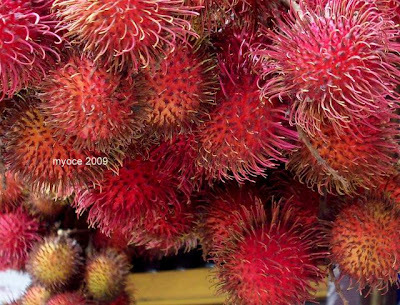 Hyds, there use to be an avocado and a rambutan tree at our yard... my mom and I ate rambutans till we got tummy aches...and our fingers become sore and stained cos of opening too many rambutans. The best of luck to you. You take care now, cos it must be getting real cold there. You are right...we have to be careful of bugs ! 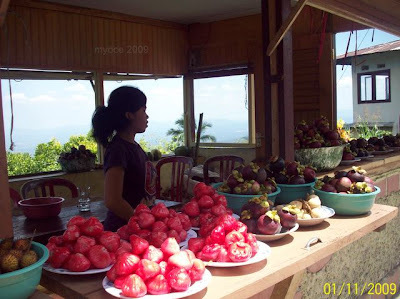 If you mean those red fruits, they are called Wax Jambu or Java Apples, or Water Apples or Rose Apples. It has lots of water and the meat is white. Hope I got the right fruits...some times we make "rujak" from them, eating them dipped in brown sugar paste [the paste usually contain grounded chillies]. 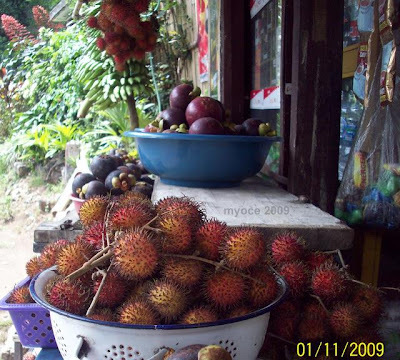 It's a great fruit for hot weather. SS501 - Tom and Jerry Love..